For other uses, see RhinoBot (disambiguation). The RhinoBot is a Physical type weapon. Stale SUPER|brie+ has been found to be a harder substance than that of diamond, a property that the mighty RhinoBot puts to good use. Describing the power of this massive instrument of mouse destruction is simple: whatever it hits, it destroys. 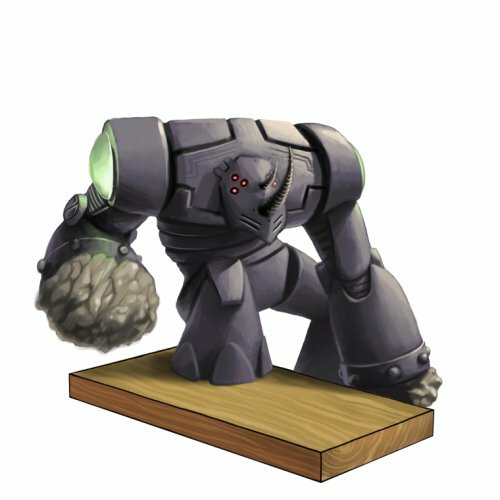 The RhinoBot is not sold by any Trapsmith. It can only be crafted given the proper ingredients. The RhinoBot (if unintentionally smashed) can be reassembled from RhinoBot Parts. Digby DrillBot – Source of Digby DrillBot Parts for crafting the RhinoBot. Sandstorm MonstroBot – Requires RhinoBot Parts for crafting. Smashing this weapon with the Hunter's Hammer yields RhinoBot Parts. 23 July 2009: The first RhinoBot was crafted. 27 August 2009: The RhinoBot's power was increased by 200 and its luck by 2. 29 July, 2015: The point requirement for the RhinoBot was lowered from 16,000,000 to 4,000,000.